Costas P. Grigoropoulos received his Diploma Degrees in Naval Architecture and Marine Engineering (1978), and in Mechanical Engineering (1980) from the National Technical University of Athens, Greece. He holds a M.Sc. degree (1983), and a Ph.D. (1986), both in Mechanical Engineering from Columbia University. He joined the faculty of the Department of Mechanical Engineering at the University of California at Berkeley as an Assistant Professor in 1990, after serving as an Assistant Professor of Mechanical Engineering at the University of Washington from 1986-1990. He was promoted to Associate Professor in July 1993 and to Professor in Mechanical Engineering in July 1997. 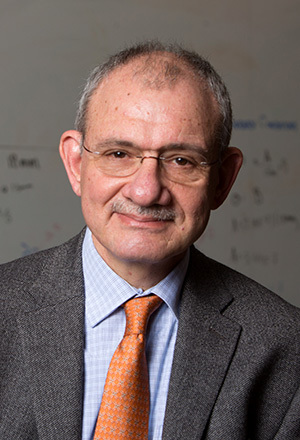 He has conducted research at the Xerox Mechanical Engineering Sciences Laboratory, the IBM Almaden Research Center and the Institute of Electronic Structure and Laser, FORTH, Greece. He is Faculty Staff Scientist with the Environmental Energy Technologies Division of the Lawrence Berkeley National Laboratory. Laser processing of materials, ultrafast laser micro/nanomachining, nanotechnology, nanomanufacturing, fabrication of flexible electronics, laser crystal growth for thin film transistors, advanced energy applications, microscale fuel cells, hydrogen storage, heat transfer, electronics cooling, microfluidics, laser interactions with biological materials. Professor Grigoropoulos has published 227 research articles in archival Journals, 11 Chapters in technical review books and 9 U.S. patents. He has also published the books Transport in Laser Microfabrication, Cambridge University Press (2009) and Hierarchical Nanostructures for Energy Devices, RSC Publishing (2014). To view a list of Professor Grigoropoulos’ publications, please visit the Laser Thermal Lab website.